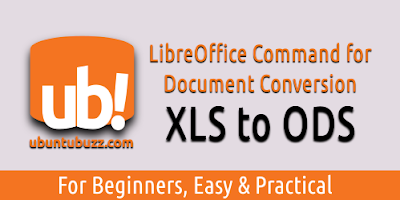 XLS is a Microsoft Office proprietary binary document format, along with DOC and PPT. 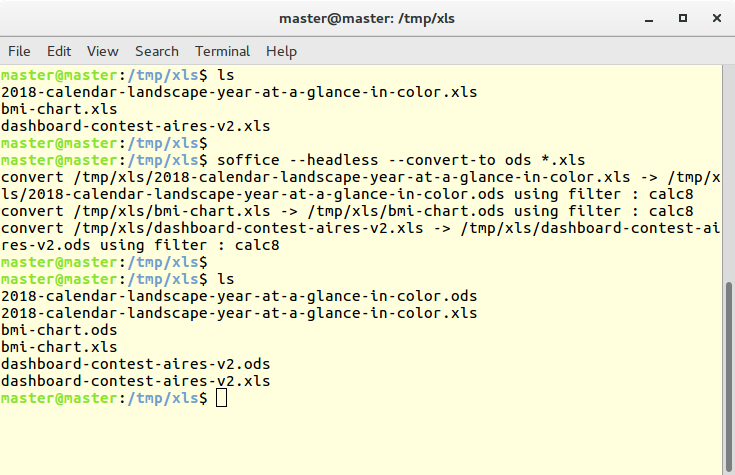 With a command line below, we can convert multiple XLS files into ODS files. 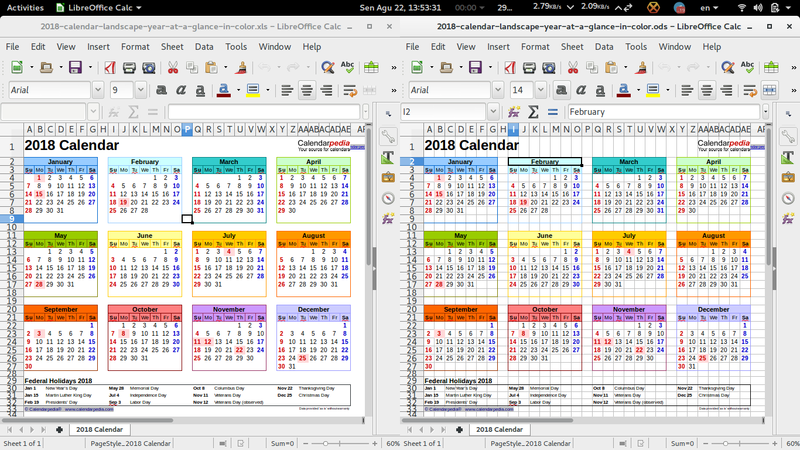 This conversion can be considered as Excel to Calc documents conversion. Here, we use XLS files from some freely available internet sources (we don't create the XLS files). Important note: close any running LibreOffice window before running this command, otherwise it won't work.